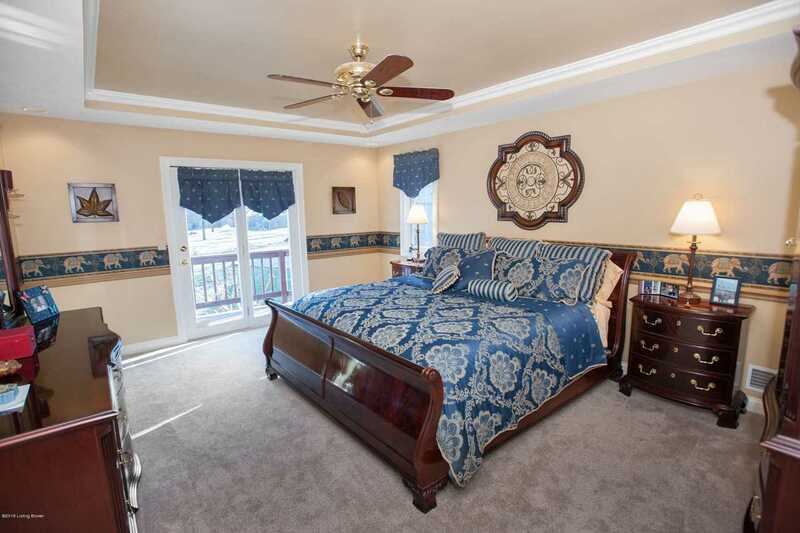 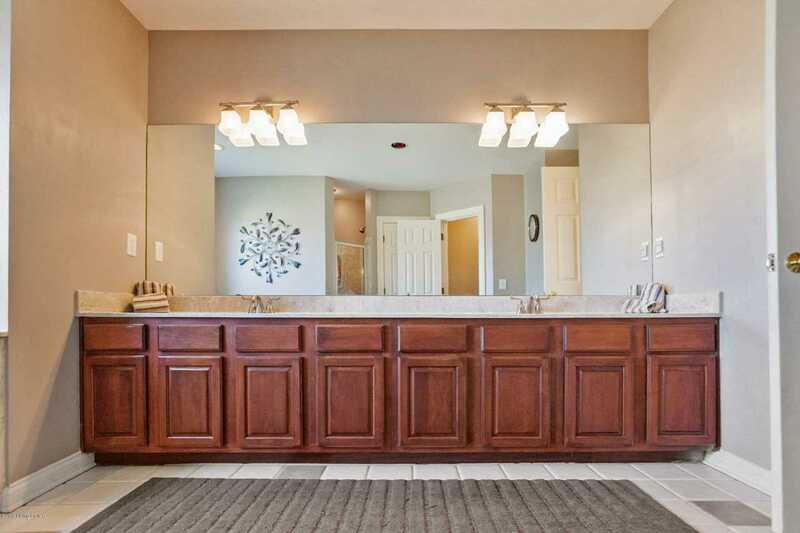 4 Bedrooms | 4 Baths | 4200 Sq. 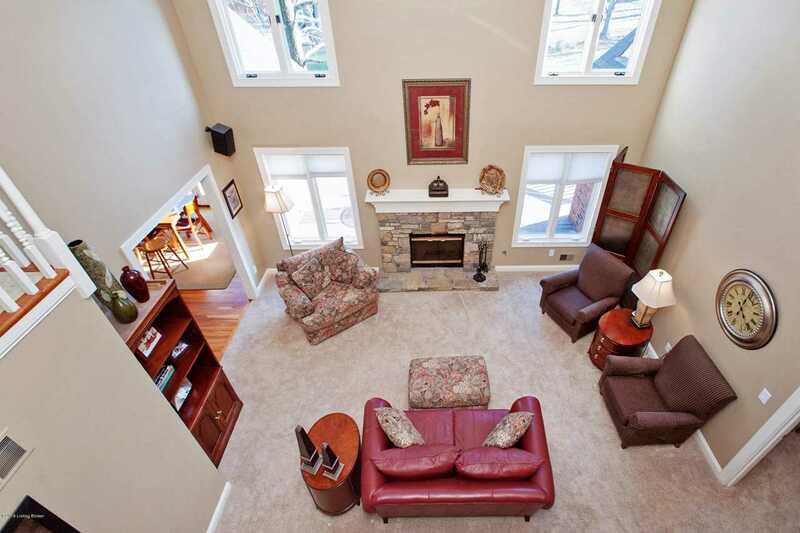 Ft.
Not your same 4x4 floor plan! 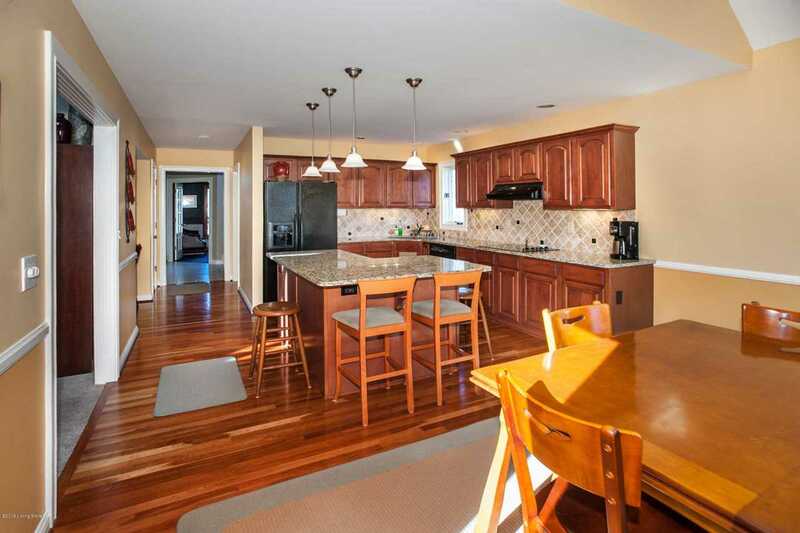 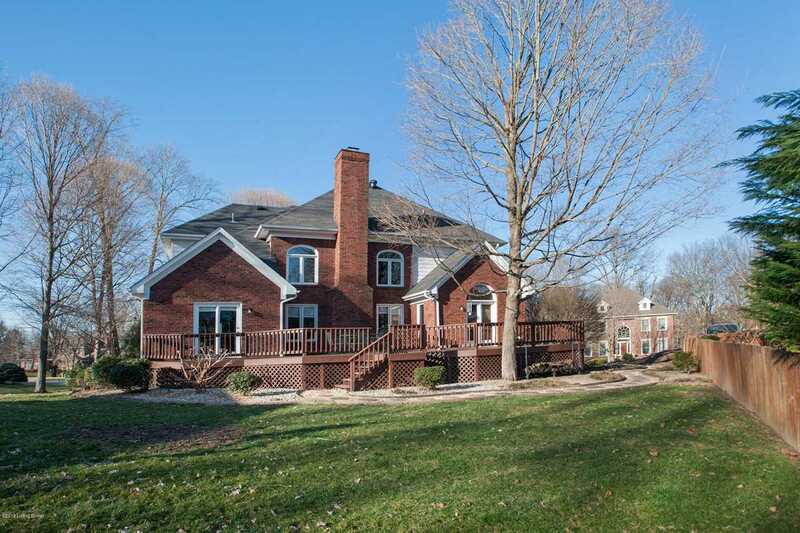 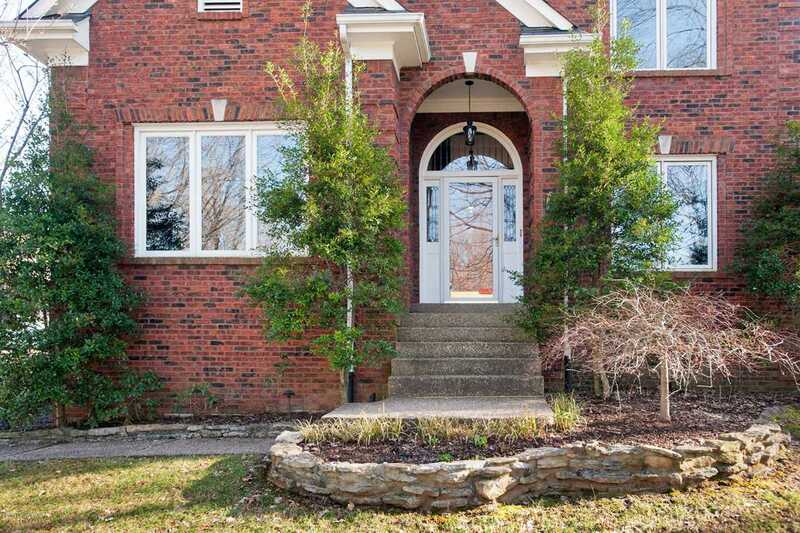 Custom built, one owner on quiet cul de sac, corner lot. 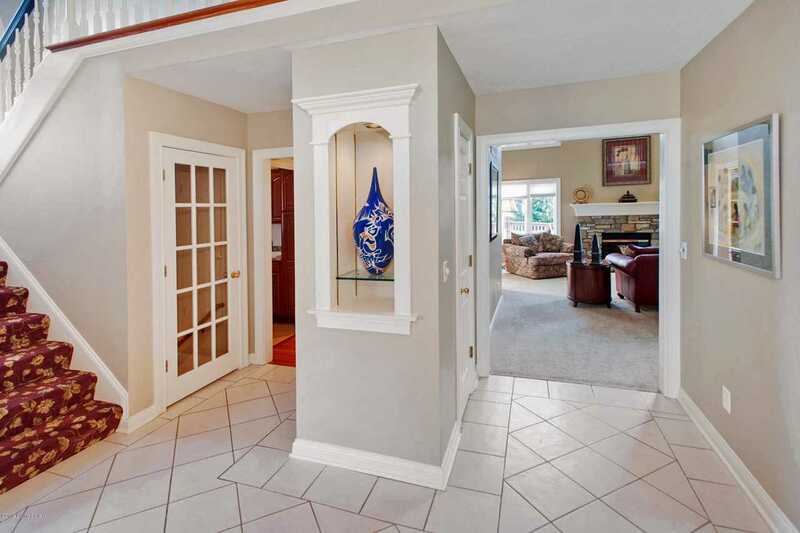 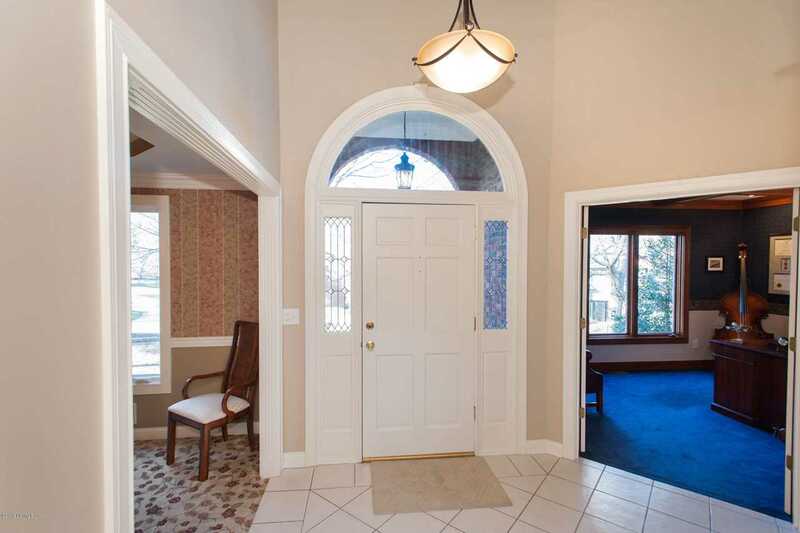 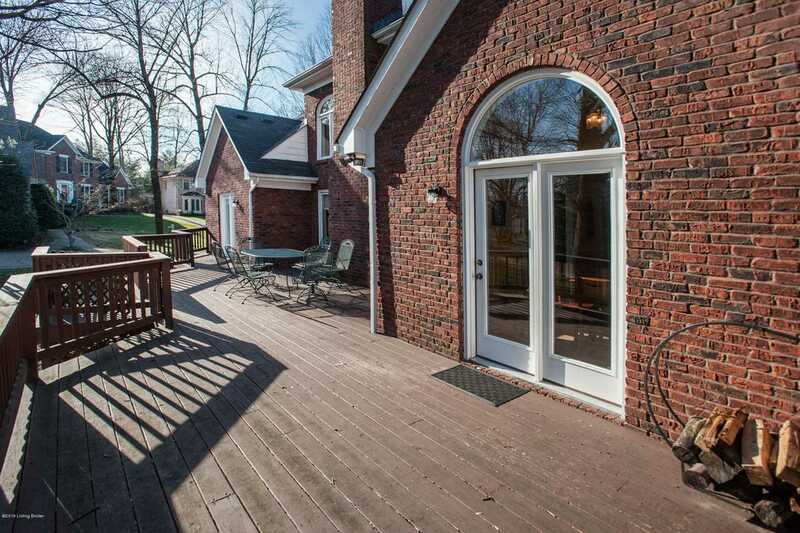 Tile foyer w/ beautiful door, leaded sidelights,arched window above and an inset for your favorite piece of art. 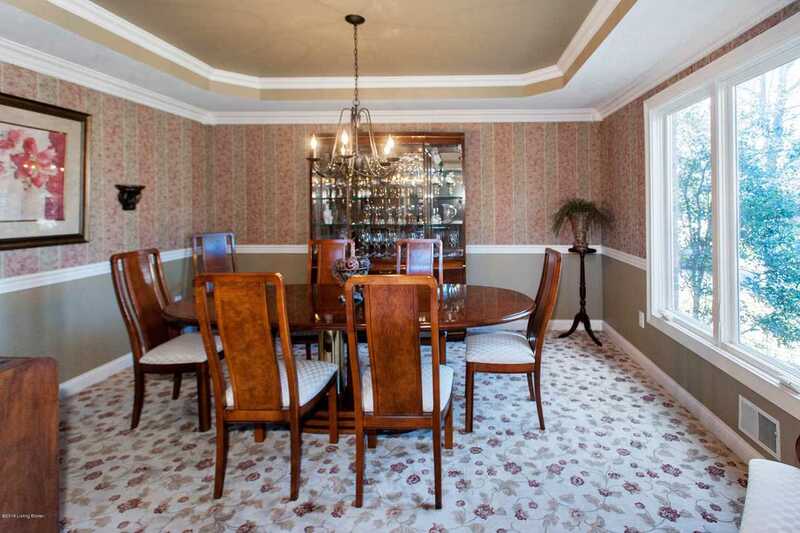 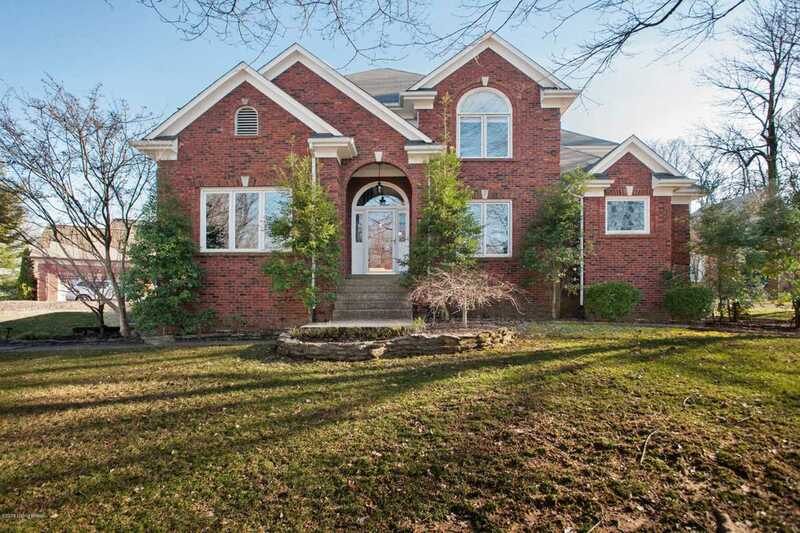 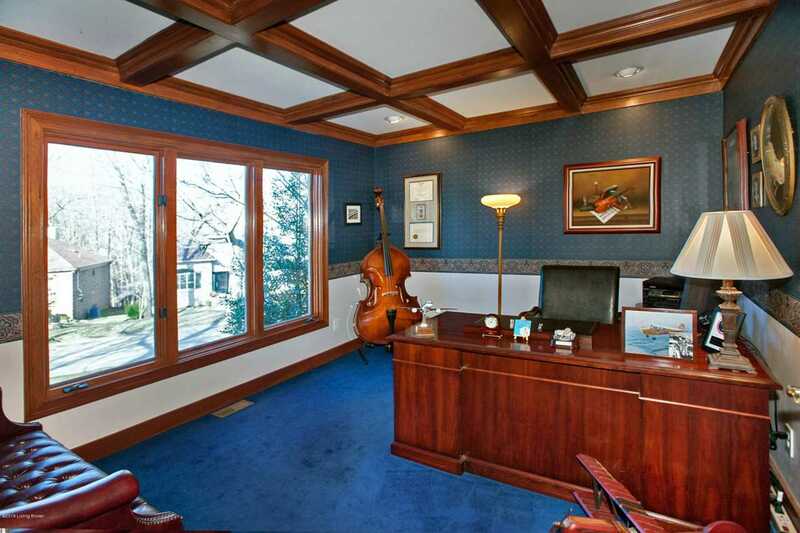 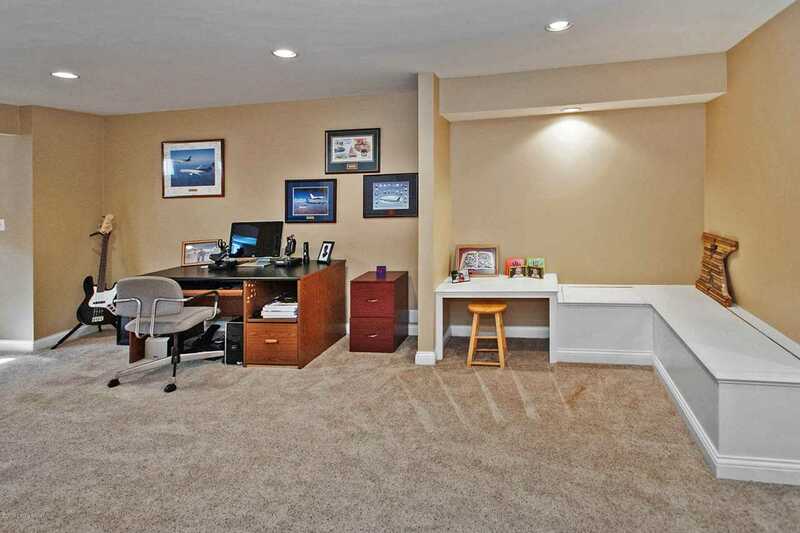 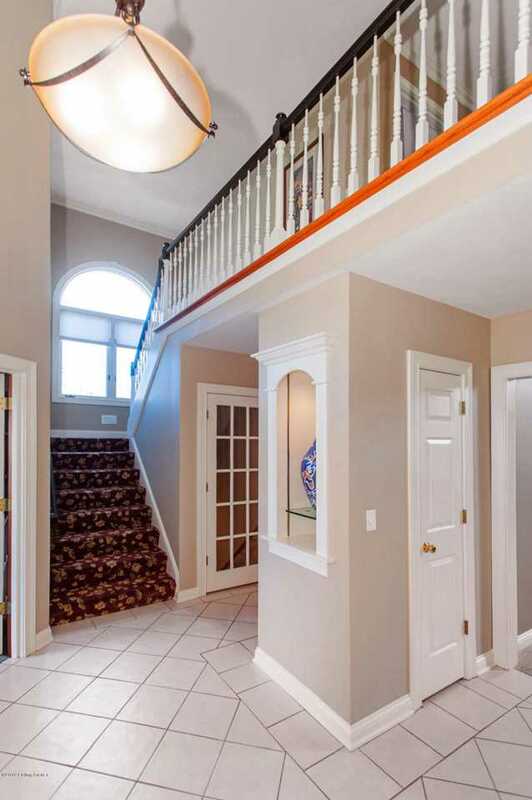 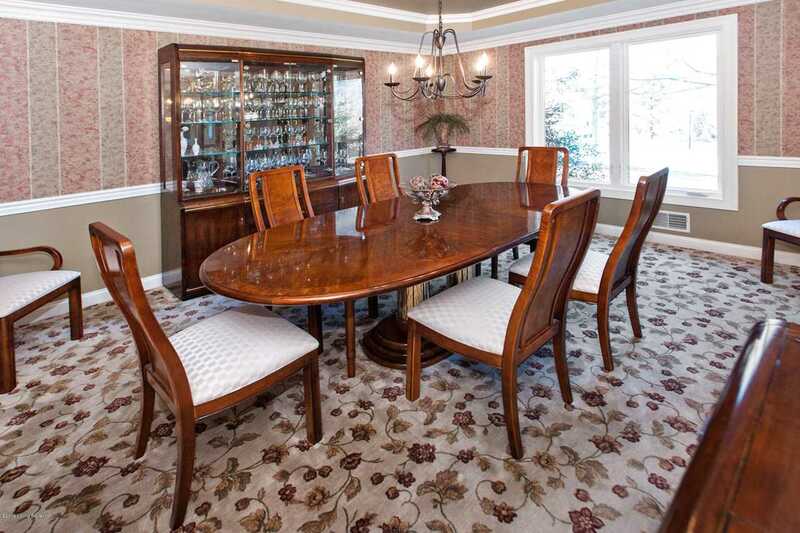 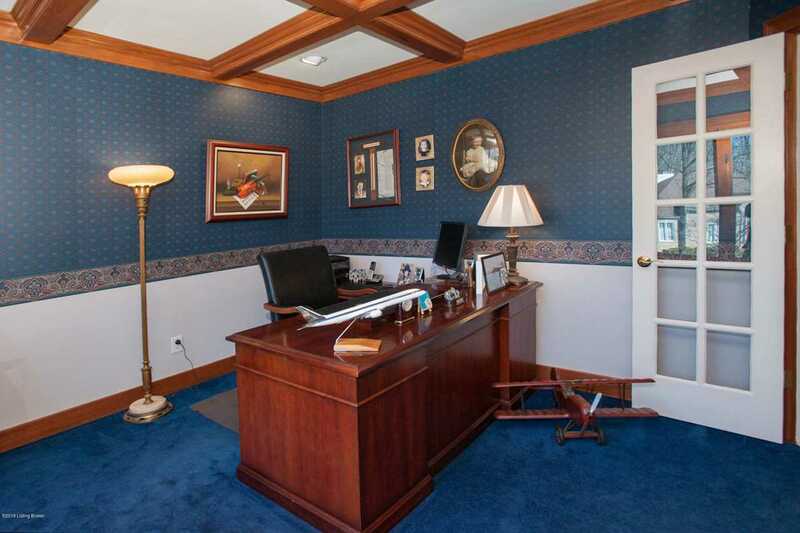 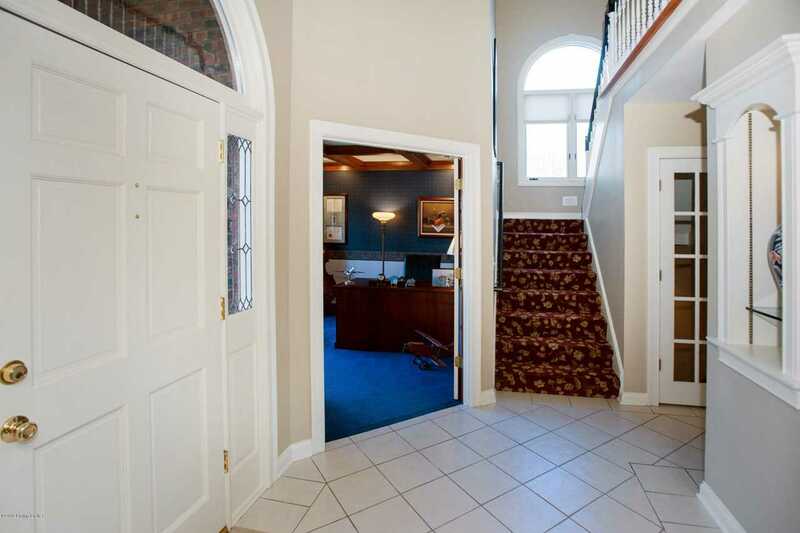 Off the foyer is an office w/ beamed ceiling & glass french drs, a large formal dining to the right w/ chair rail, crown molding and trey ceiling. 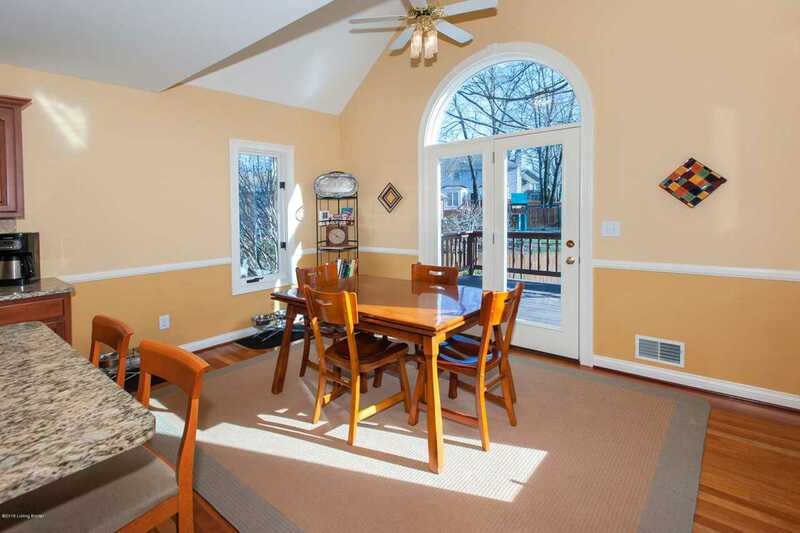 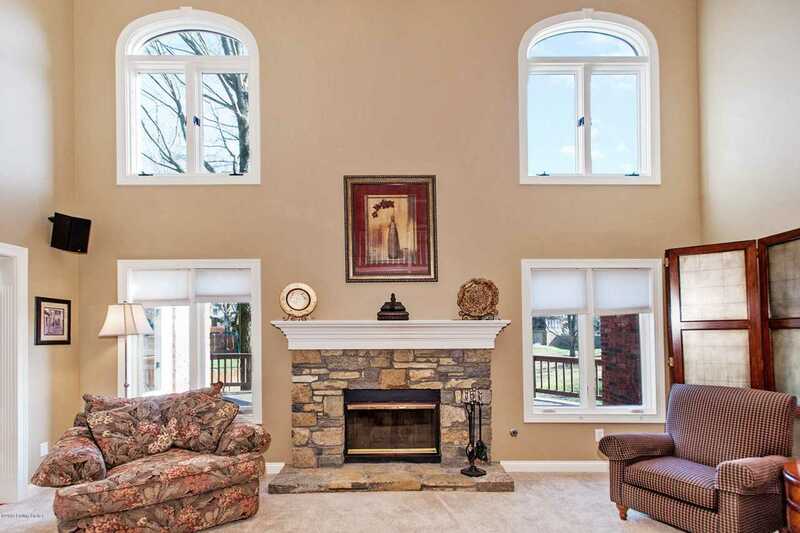 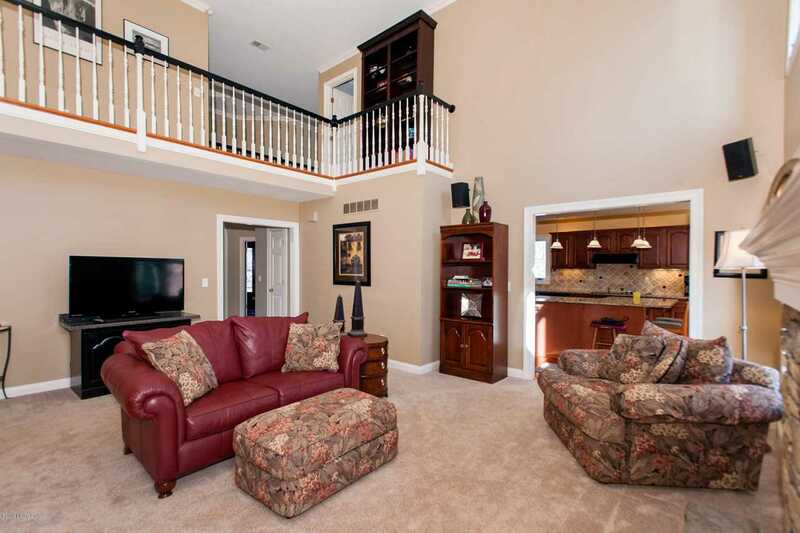 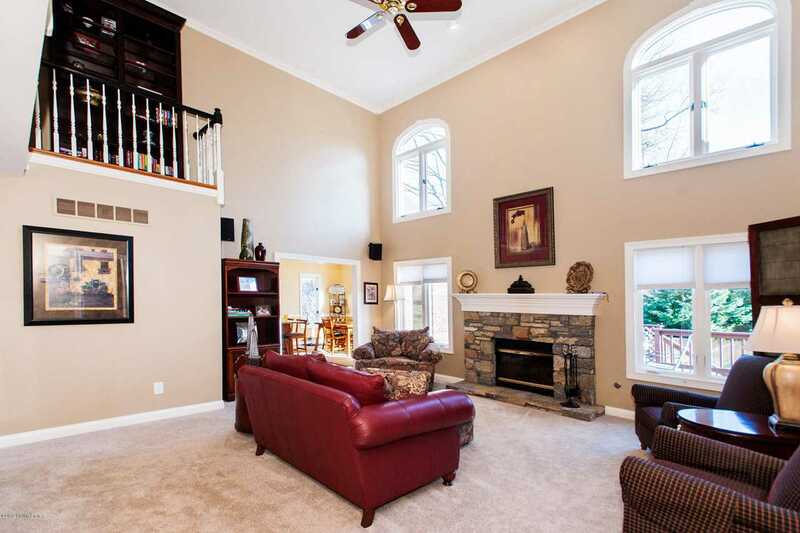 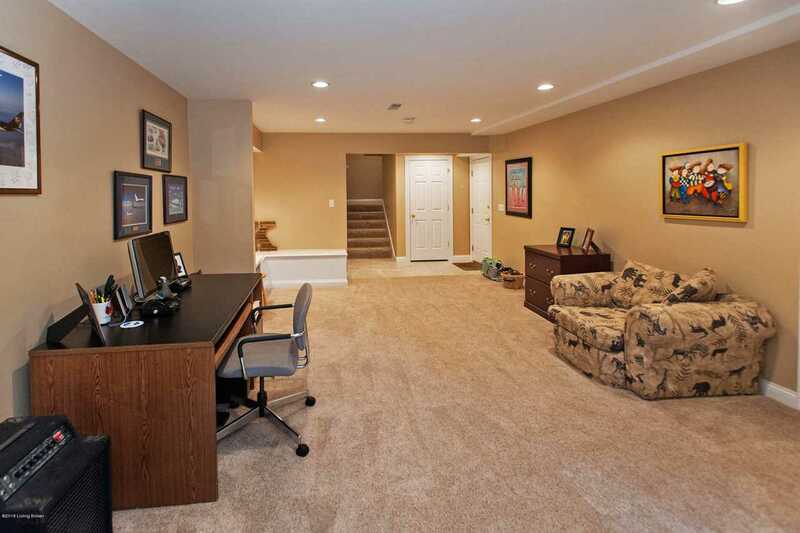 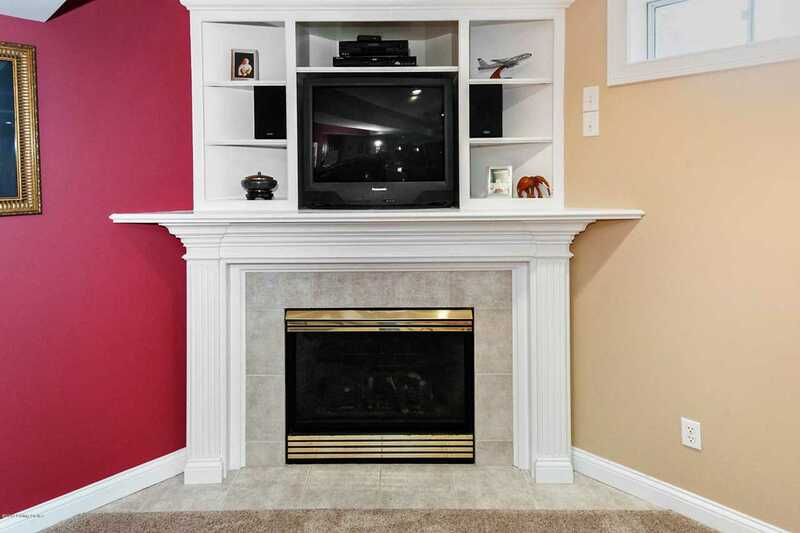 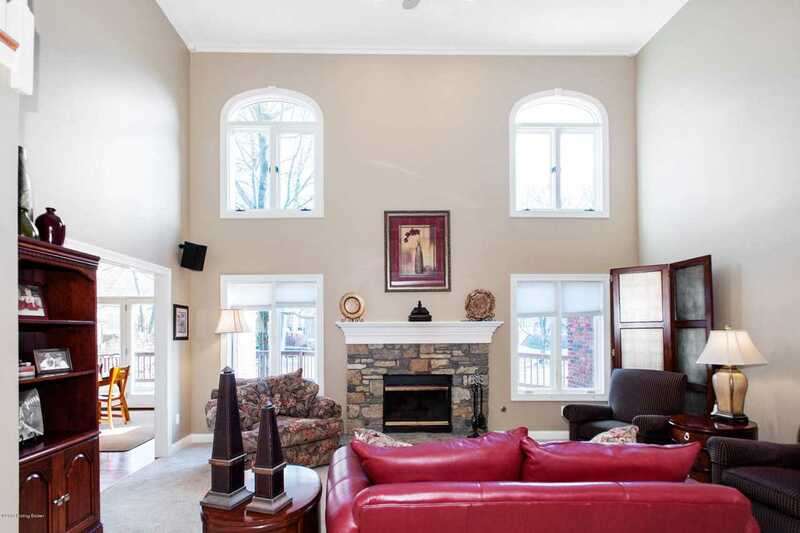 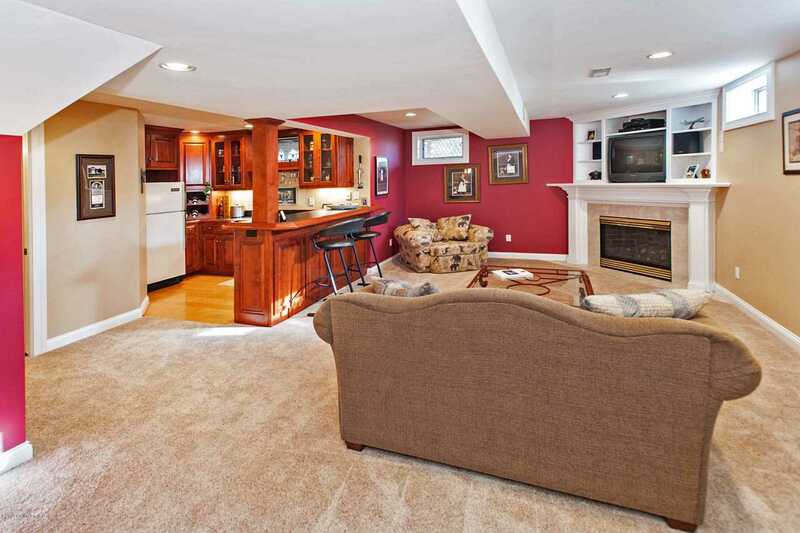 Inviting great room w/ soaring ceilings, creekstone woodburning fireplace, neutral paint and carpet for anyone's decor. 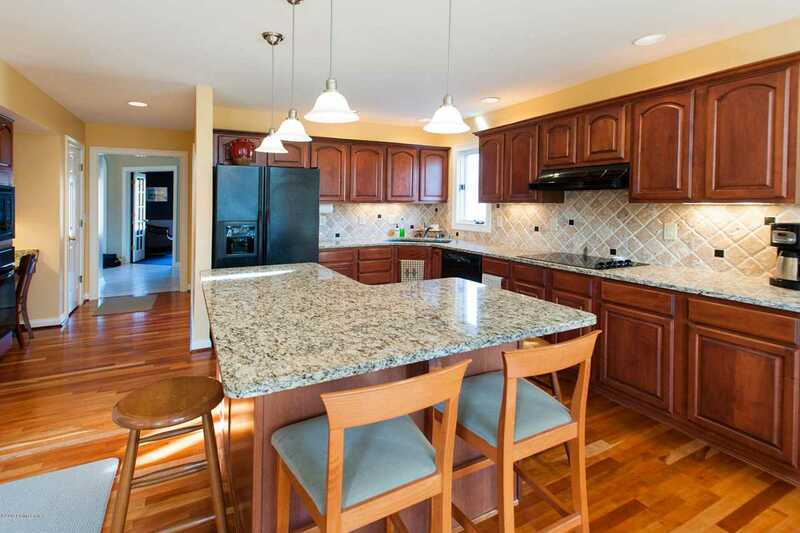 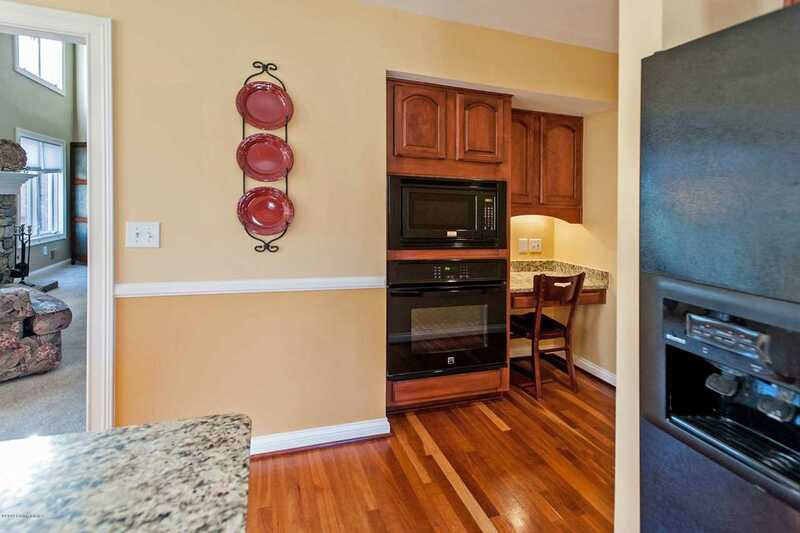 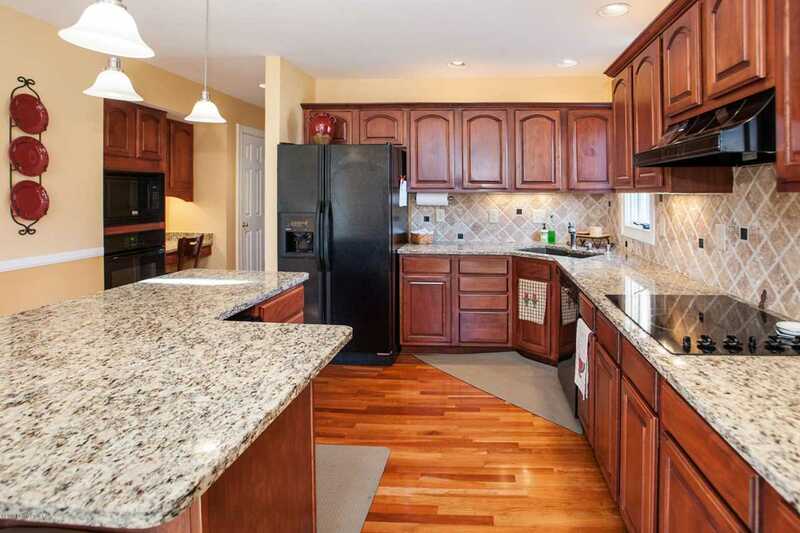 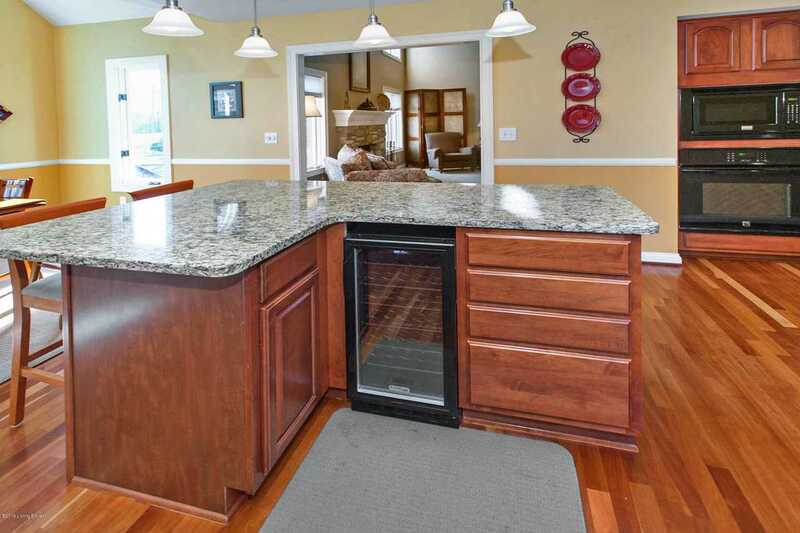 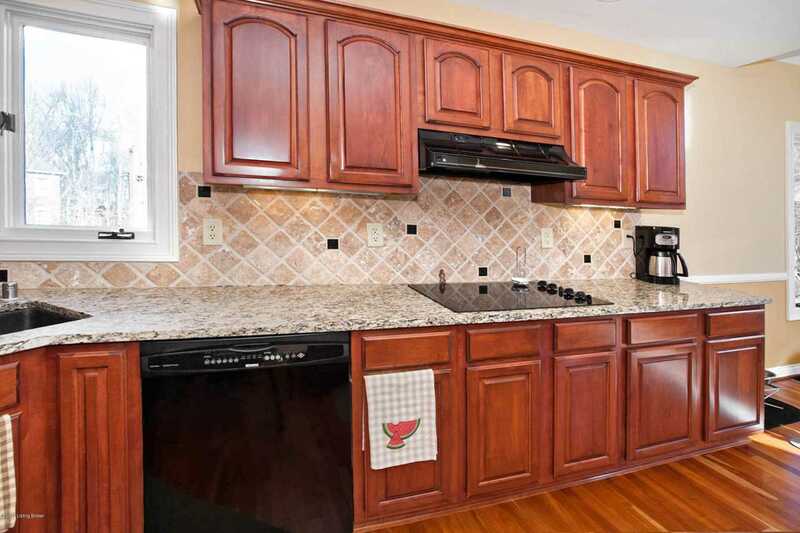 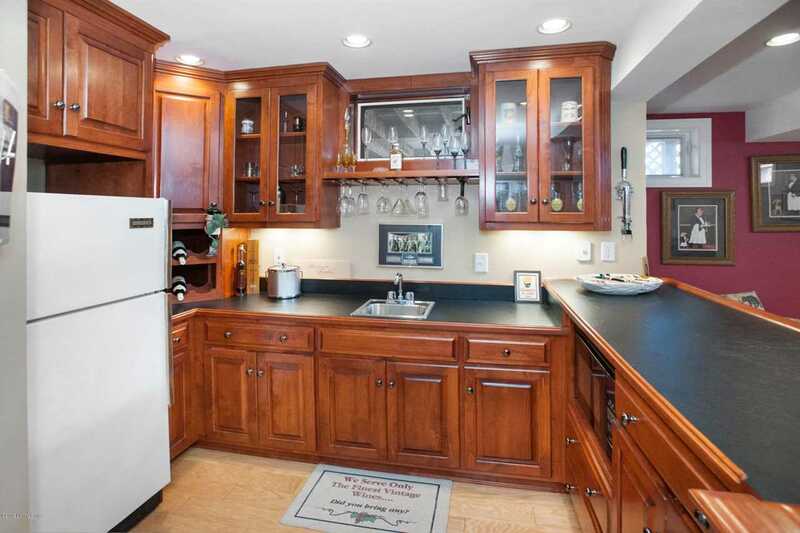 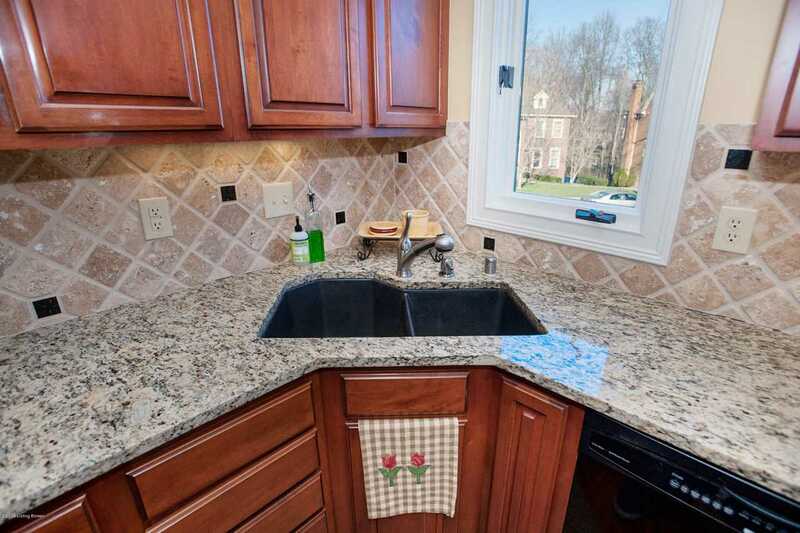 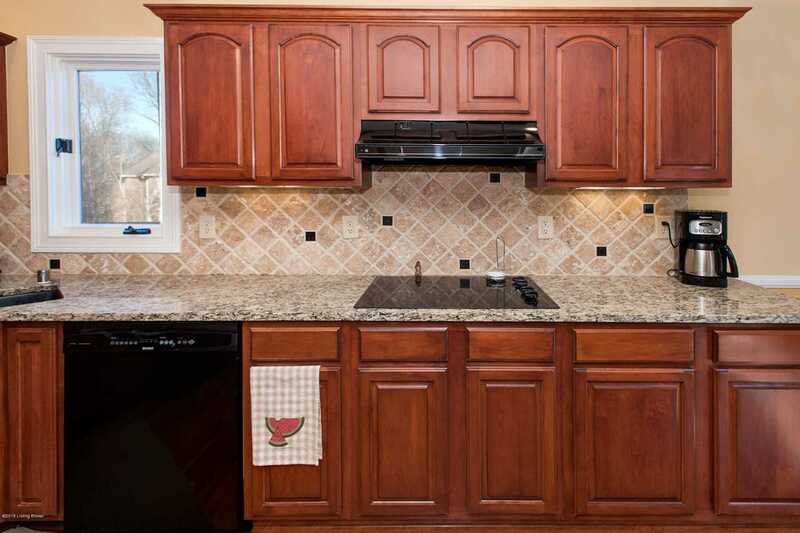 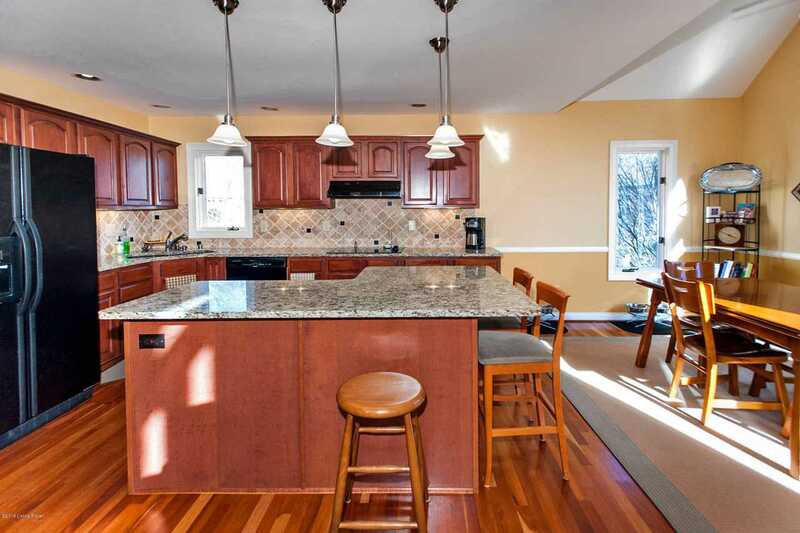 Kitchen with vaulted eating area, granite counters, tumbled ceramic tile back splash, large island w/breakfast bar, pantry, planning desk, wine refrig & refrigerator can stay, convenient atrium door to deck for grilling or to entertain! 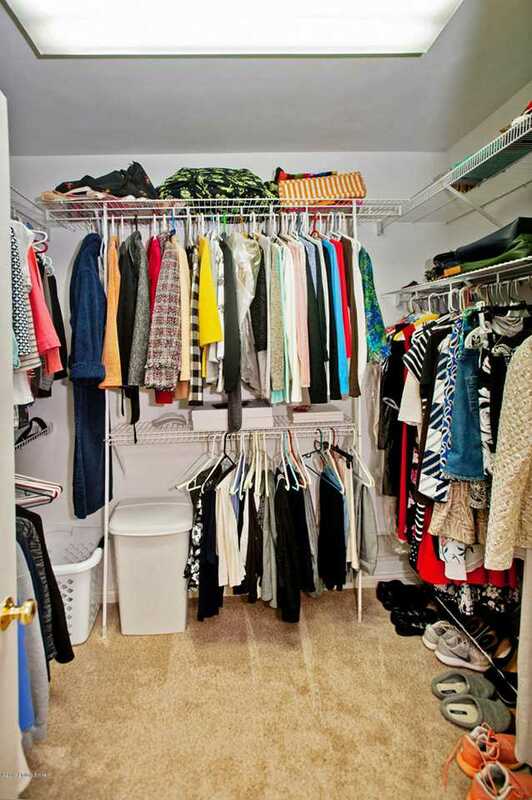 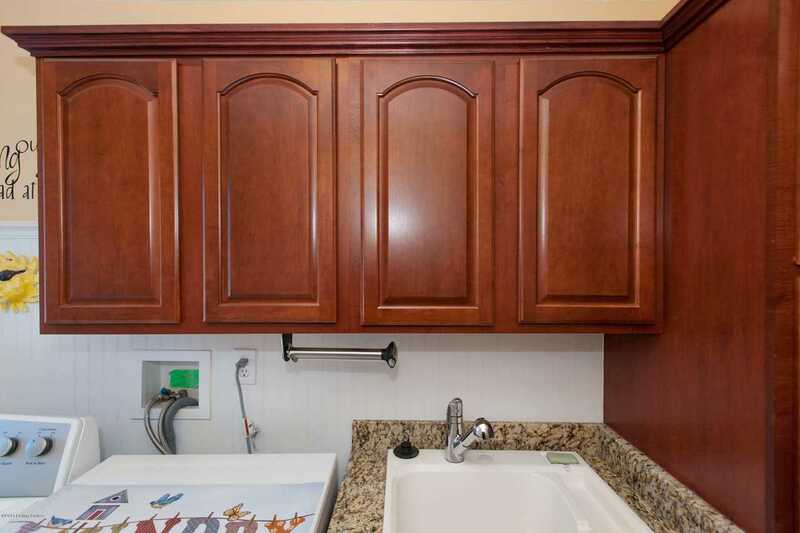 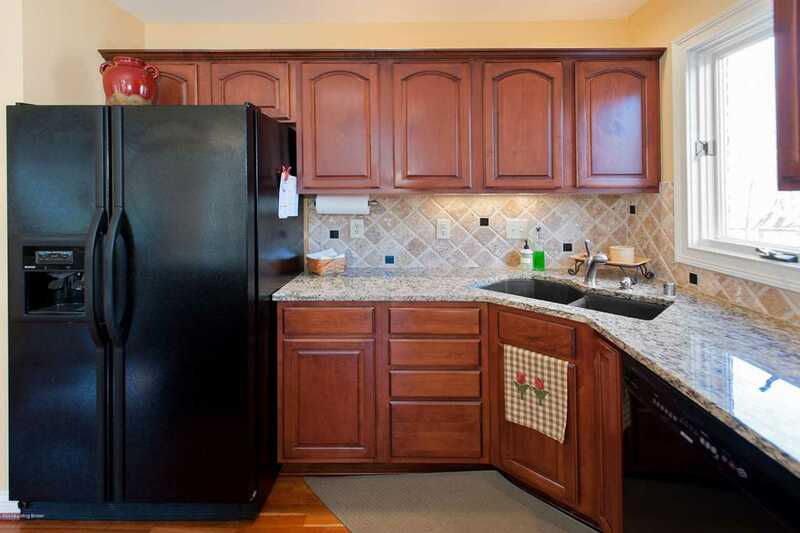 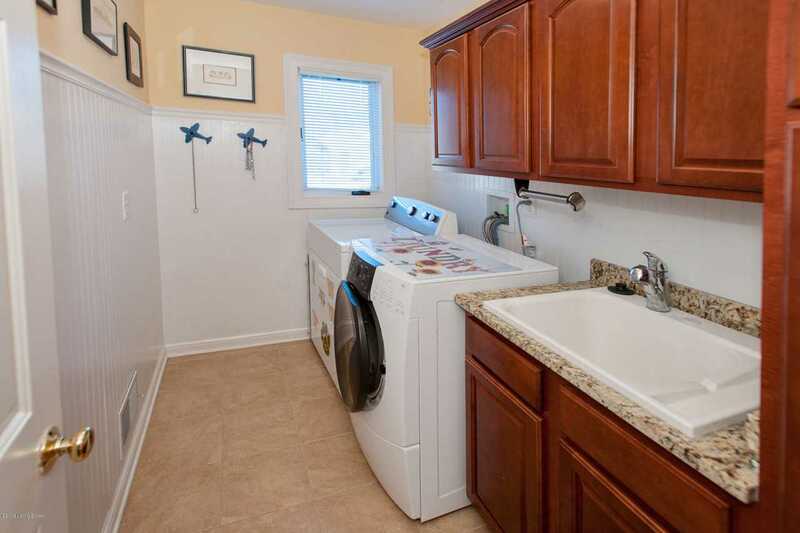 Great size 1st floor laundry rm w/ lots of cabinetry, sink, tile flooring, attractive beadboarding on the walls. 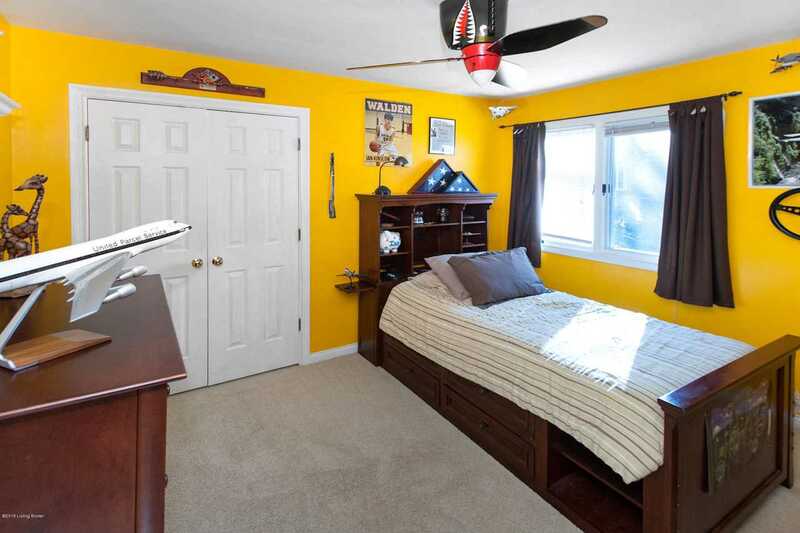 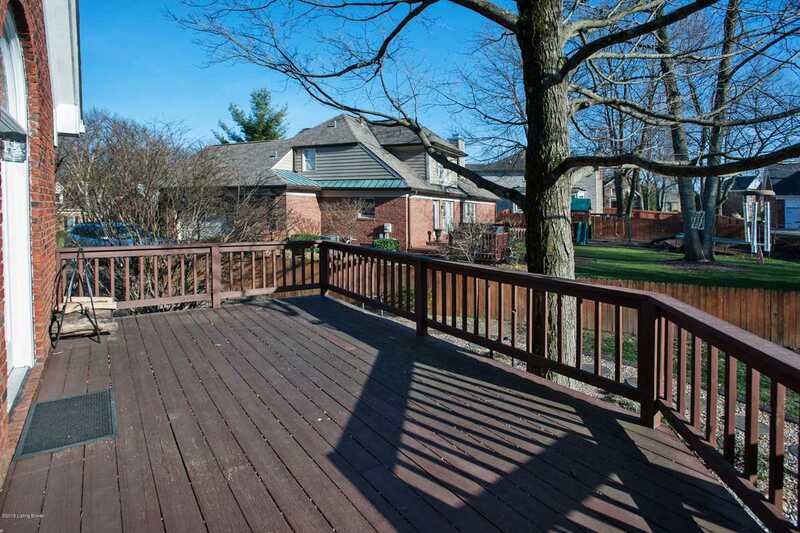 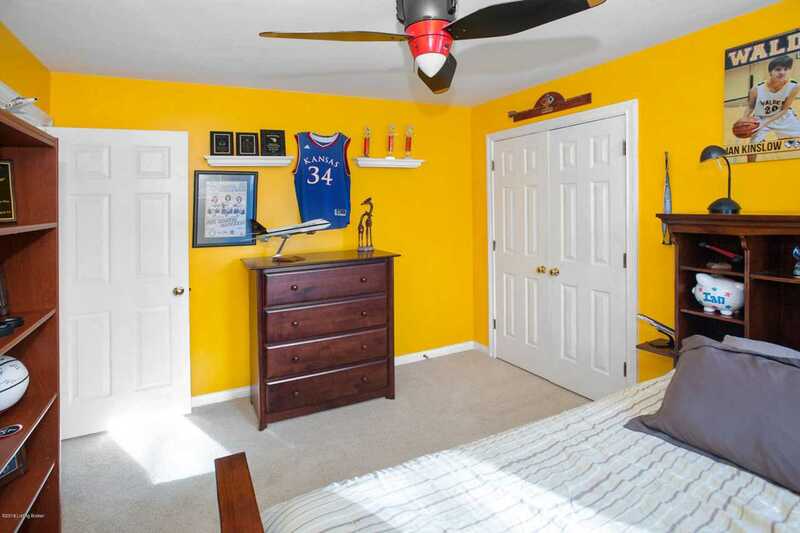 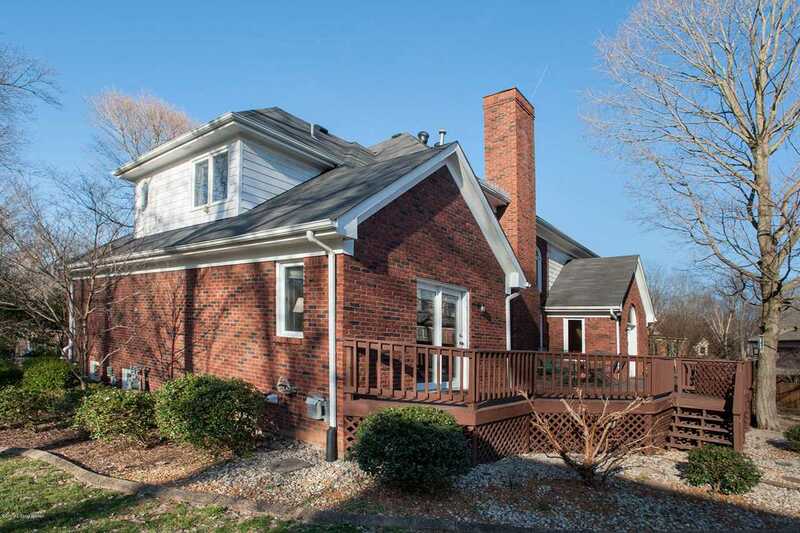 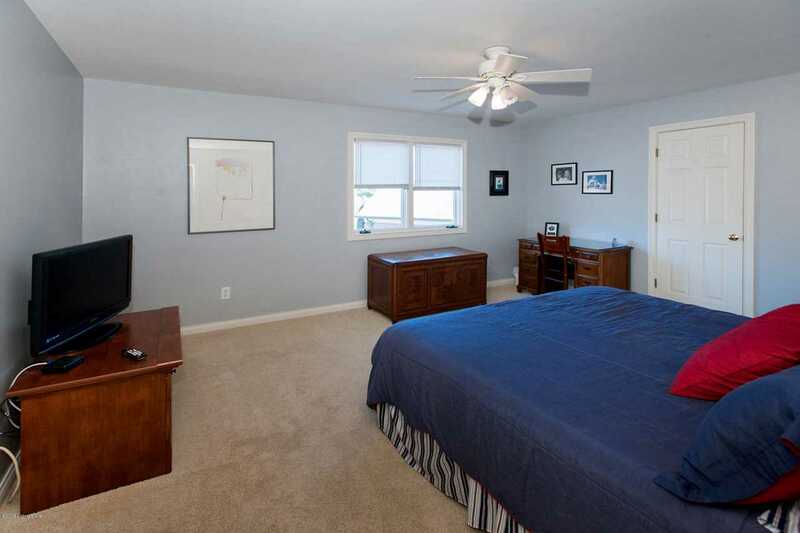 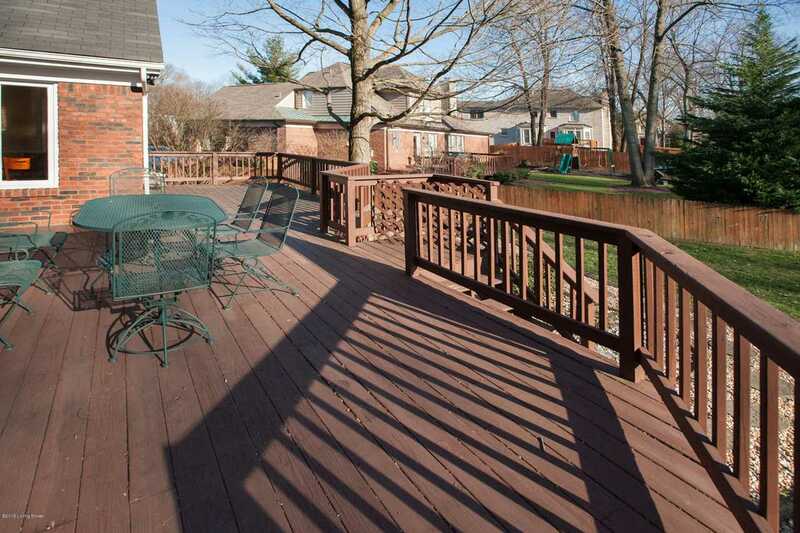 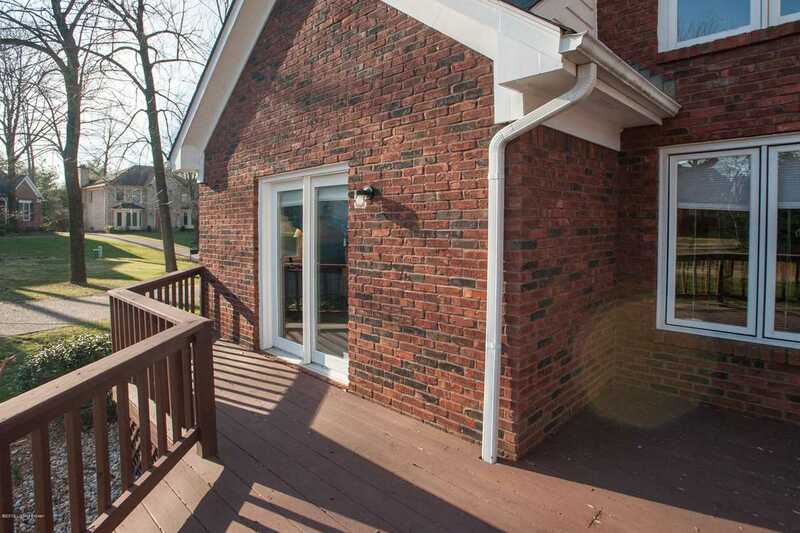 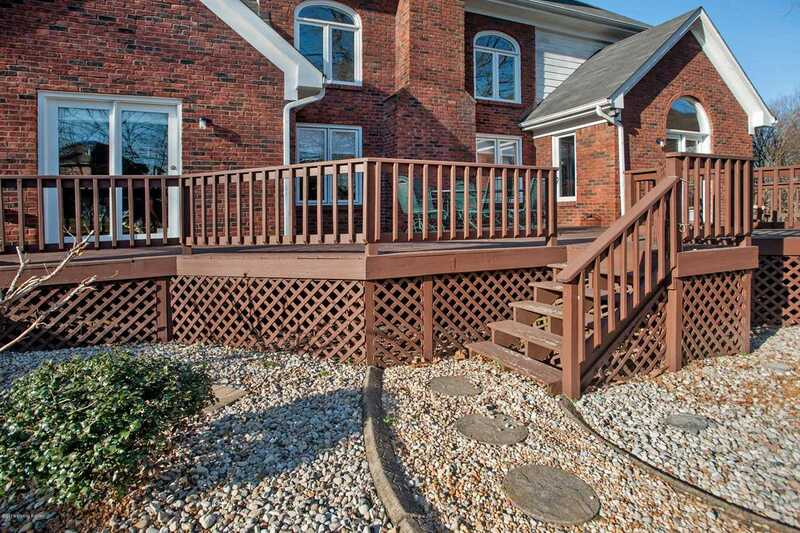 1st floor Master BR has neutral paint and carpet, recessed spot lights, trey ceiling, walk in closet w/ built in drawers, and atrium door leading to the deck. 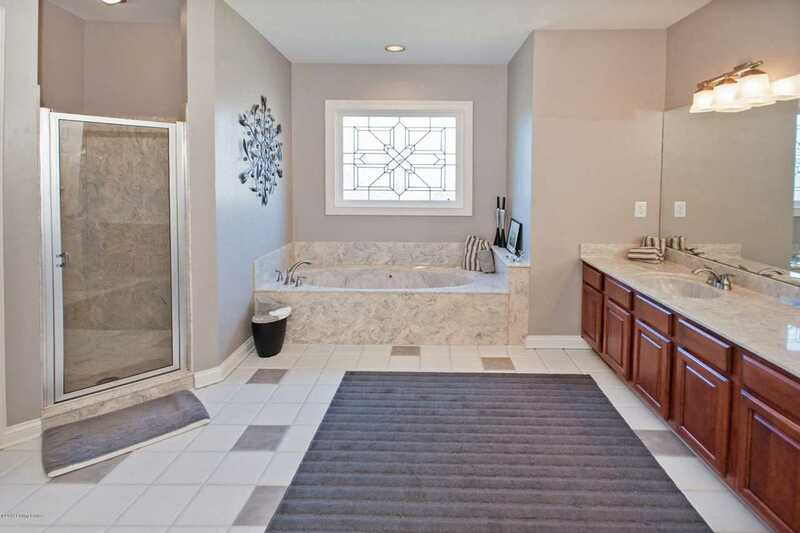 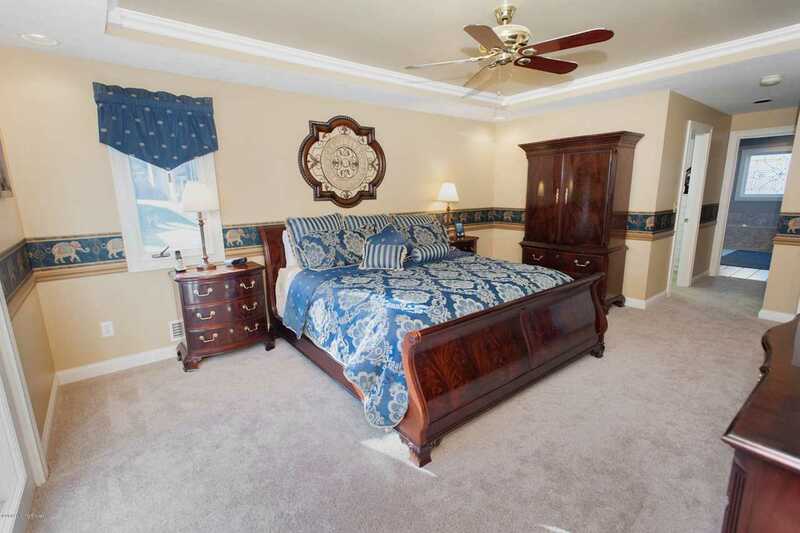 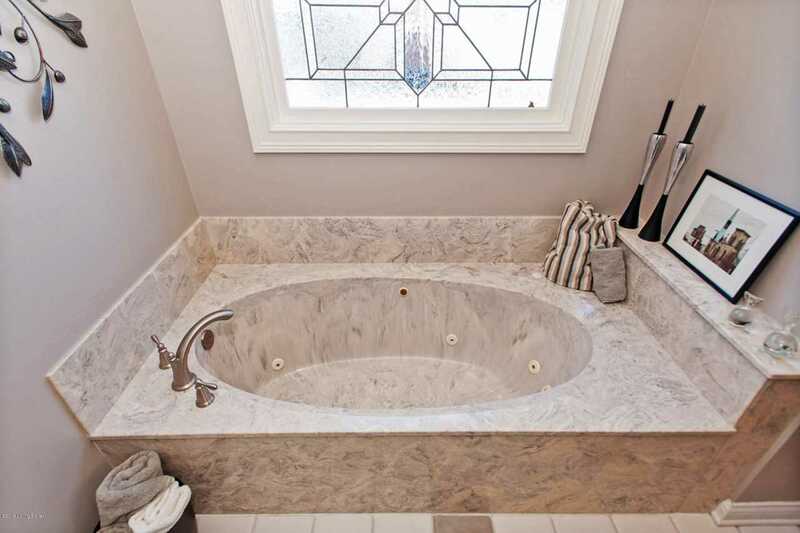 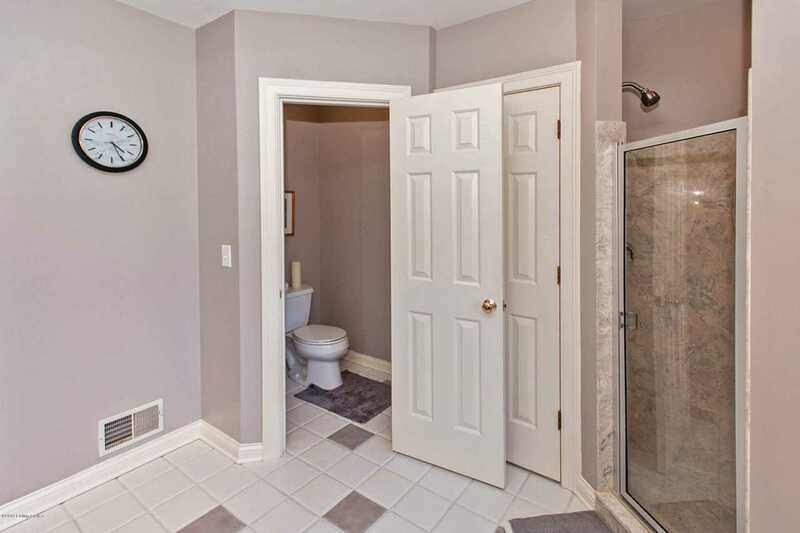 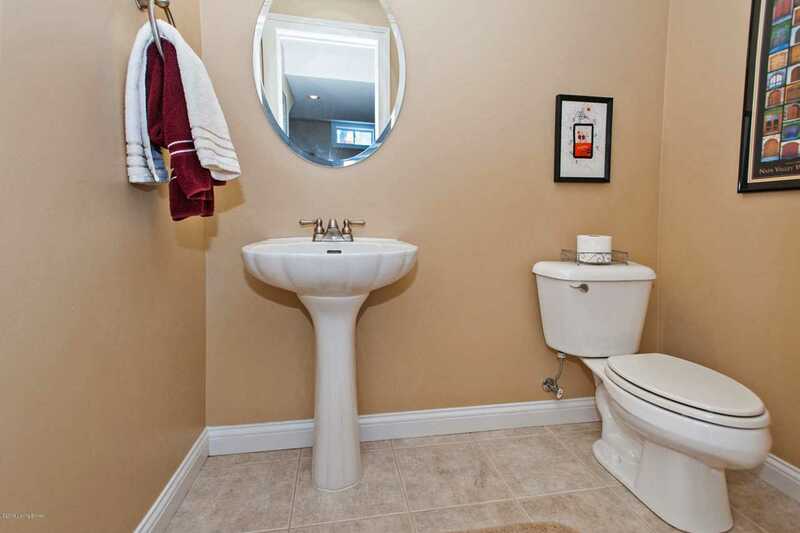 Spacious master BA features a jetted tub, separate shower and water closet, huge double sink vanity! 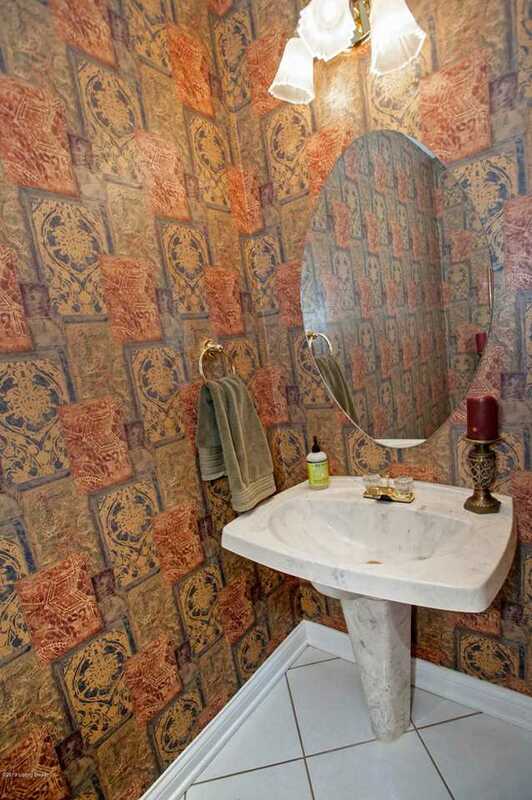 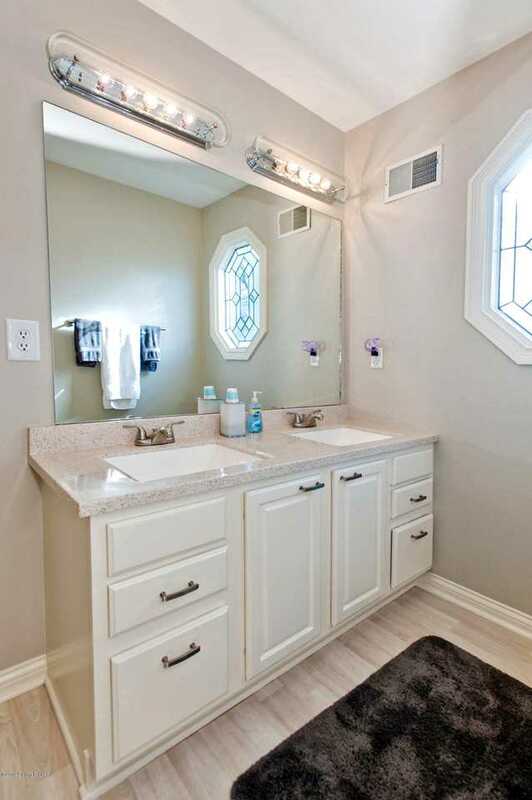 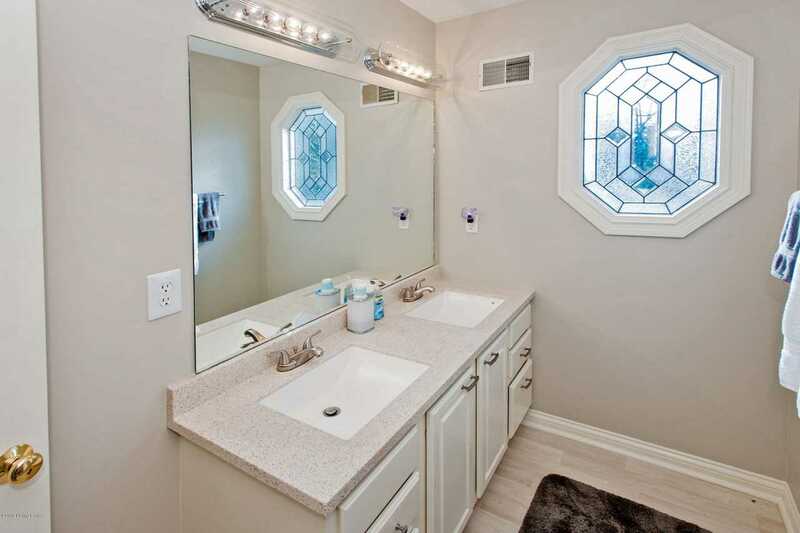 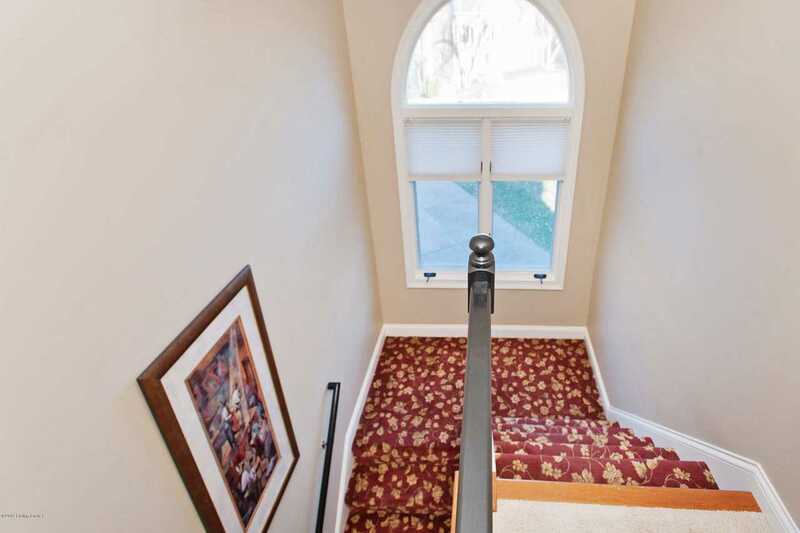 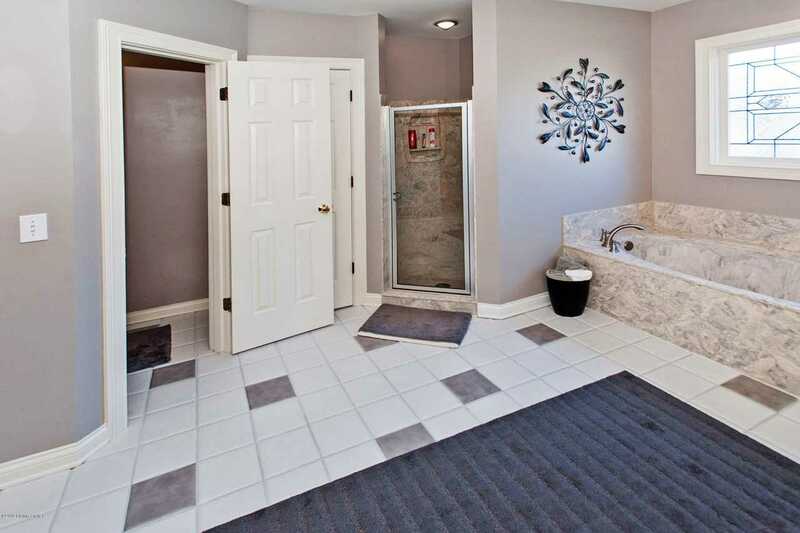 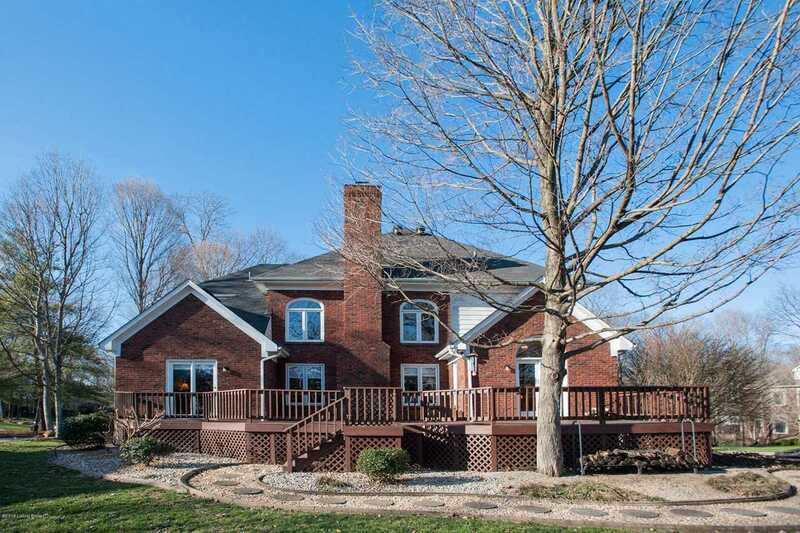 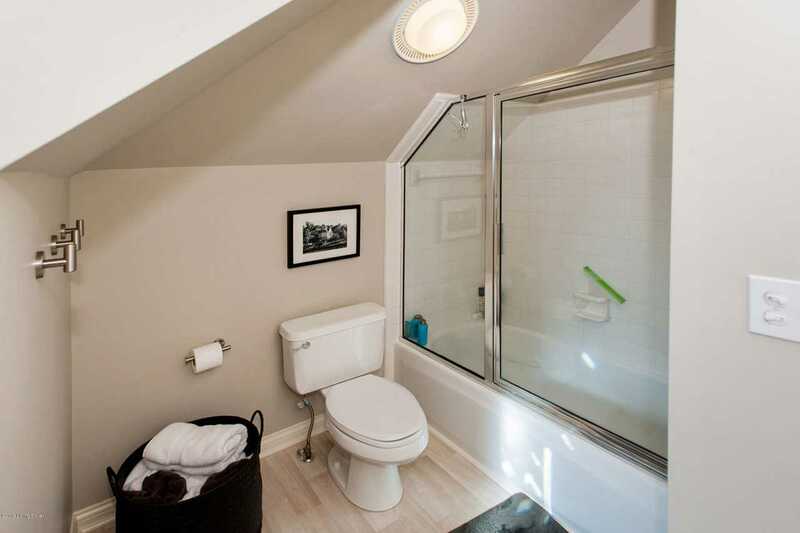 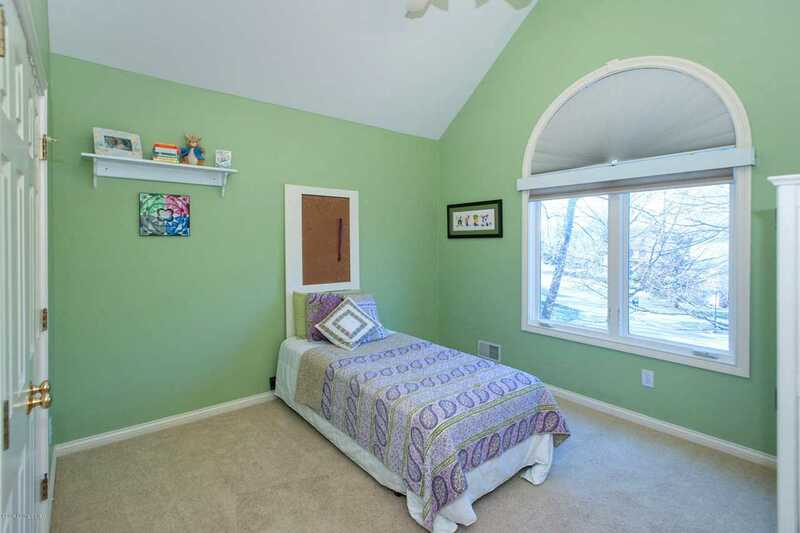 Upstairs are 3 more bedrooms and a beautifully updated hall bath w/ new flooring, ceramic tile around the tub, and stunning octagonal, leaded glass window. 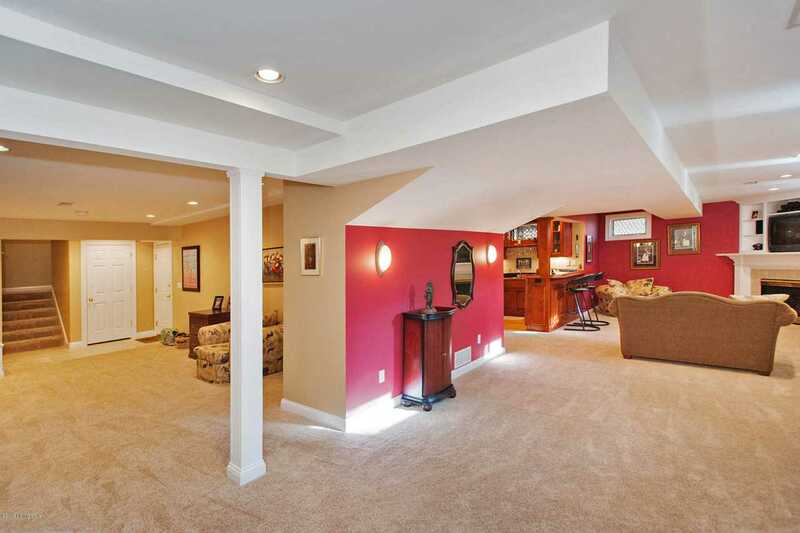 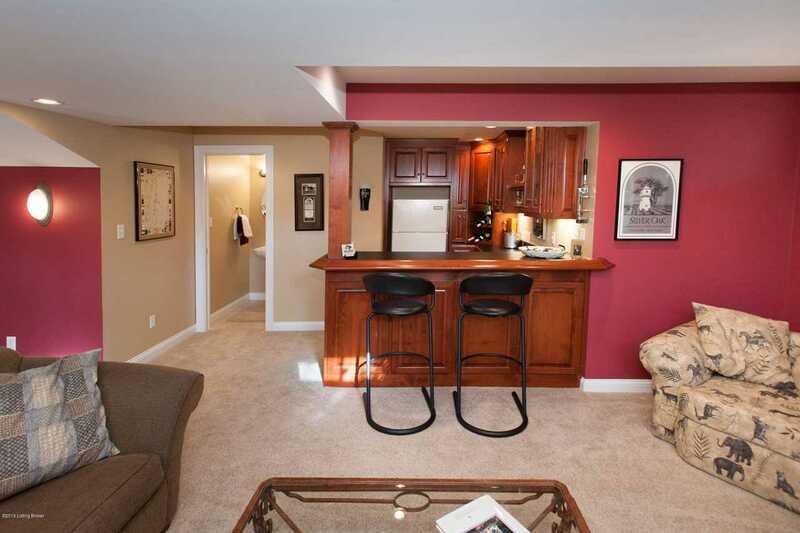 LOWER LEVEL is terrific for growing family! 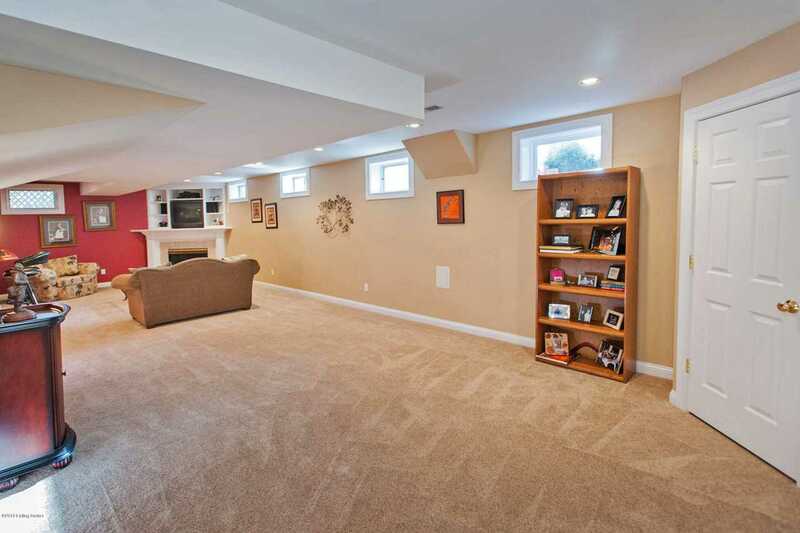 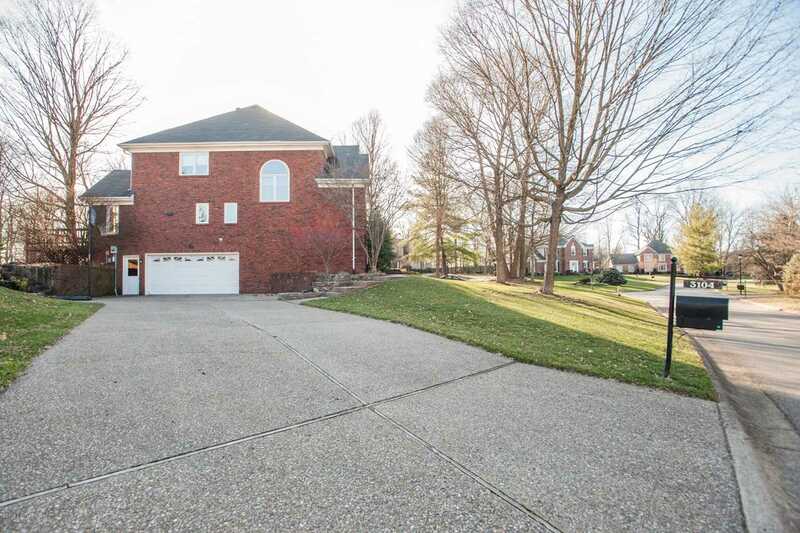 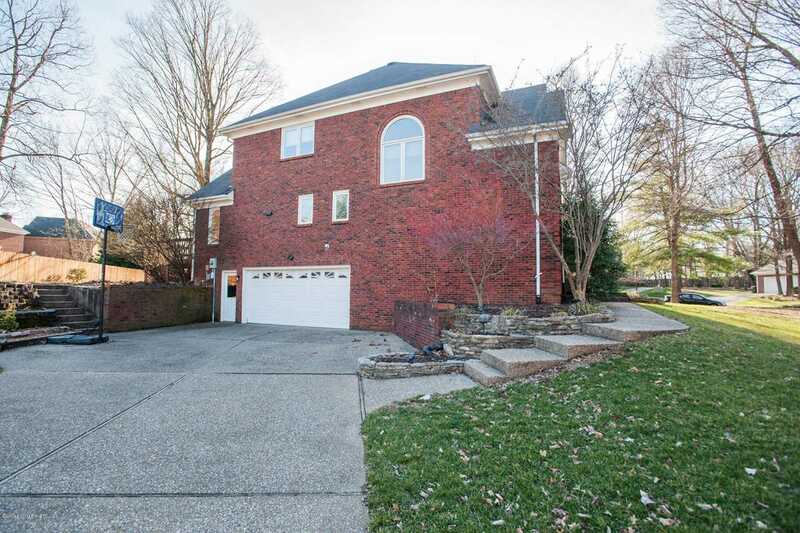 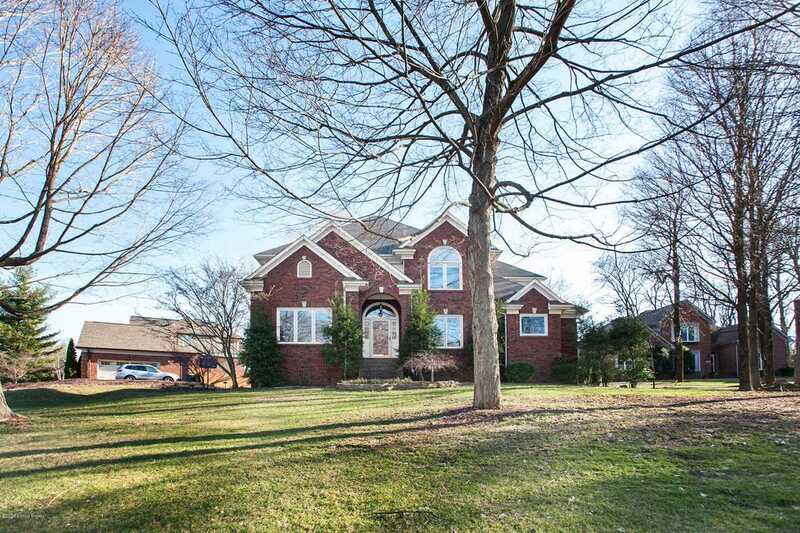 Large family rm w/gas fireplace, wiring in place for sound system, Beautiful wet bar and plenty of cherry cabinets, refrig & microwave, built in storage/toy chest in the play area, .5 BATH. 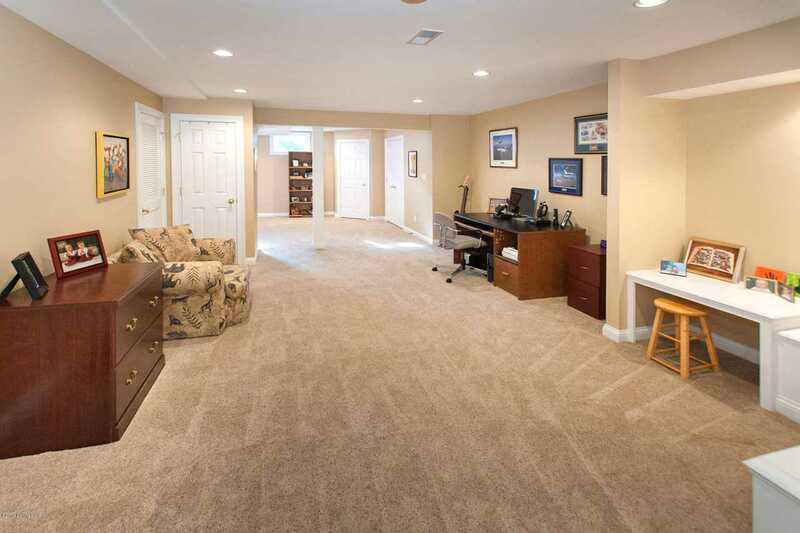 Humongous extra deep 2.5 car garage w/ large inset area for workbench or yard tool storage. 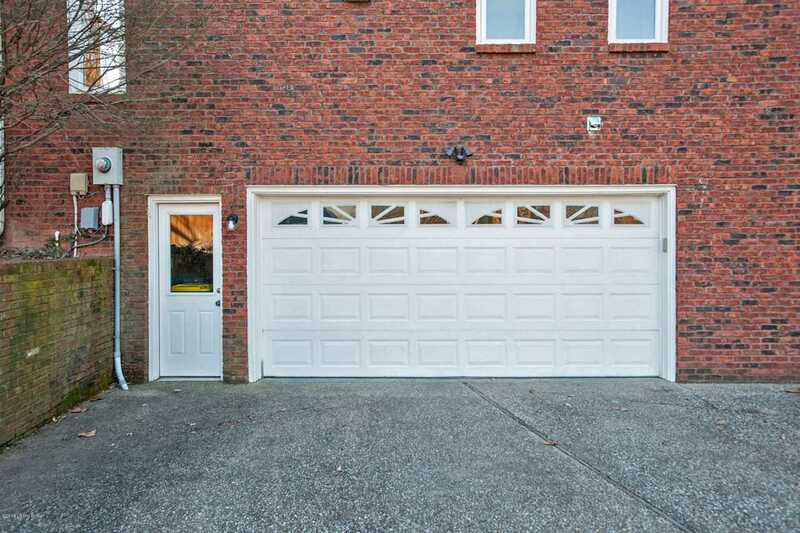 RARE flat, level double wide driveway! 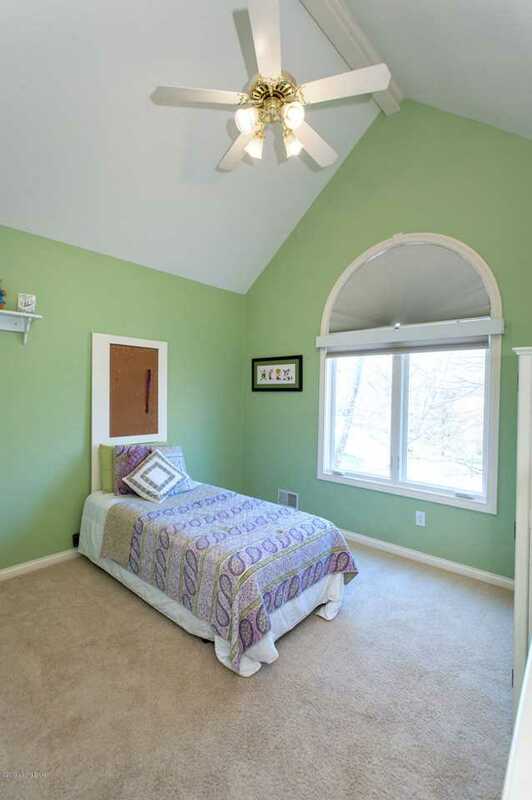 ROOF, HVAC, HOT WATER HEATER ARE 11 YRS OLD, radon mitigation in place, casement windows thru out, invisible fencing. 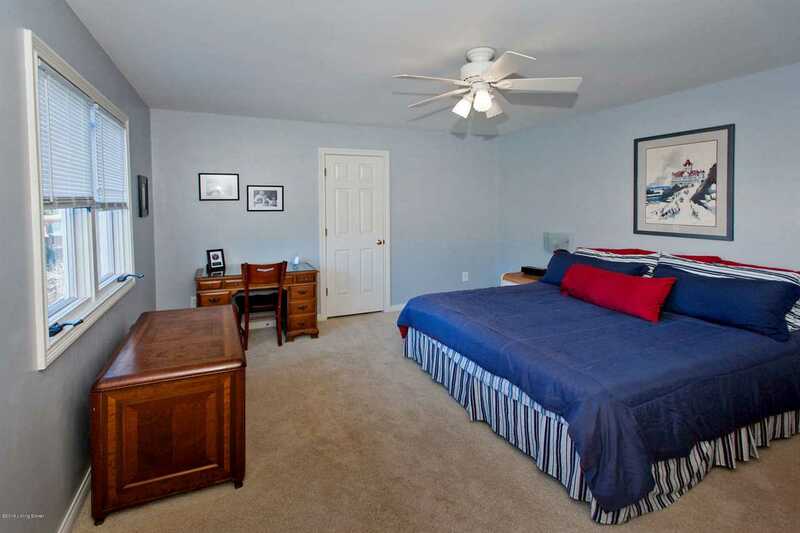 Pool w/ clubhouse membership is required in the Village of Felsmere $395, which is part of the $1095 total HOA annual fee.